Compact 3200 Food Processor Extra large feed tube for fruit & vegetables 650 Watt commercial motor 2.6 litre main bowl, mini and midi bowl, no BPA, Quiet mark. Magimix 3200 Satin XL with Extra Large Feed Tube. This Magimix 18361 Food processor has a powerful 650w commercial quality motor with 30 year guarantee (for normal domestic use) and will deal with a capacities :- 1kg of pastry, 600g dough, blend 1 litre soups, chop 750g Meat, whisking 5 egg whites plus many other jobs. With the three bowls the Compact 3200 xl is a space saving and versatile food processor with all the functions you need everyday in the kitchen. The extra large feed tube allows large amounts of slicing and shredding to be achieved quickly. •Main bowl with extra large feed lid and pusher - for mincing, mixing, chopping, kneading, grating, slicing, emulsifying, beating and more. •Mini bowl with Mini Blade for chopping herbs, onions, salad dressings and Baby food. •BlenderMix attachment improves the blender function of the food processor for better soups, pancake batter, milkshakes and smoothies. •The Magimix dough blade, for Pastry, bread Dough, Pasta dough and Brioche. •Egg whisk for whipped cream and fluffy meringues. •The main sabatier stainless blade, for purees, crushing, chopping & liquidising. •Also includes a instruction book Ma cuisine with over 100 recipes, tips and diagrams. 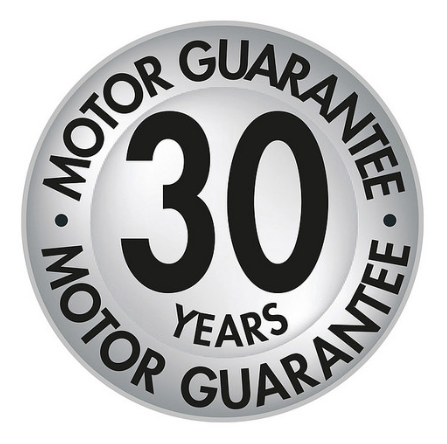 •All parts are Guaranteed for 3 years for normal domestic use. There is no Commercial warranty with this product. •More Compact than stand mixers and more versatile. Multi tasking. 6mm Coarse Grater Disc for 3200,4200, 5200 & XL Model - Reference: 17368 Coarse grating disc is Ideal for crunchy coleslaw, apple, cheese, mozzarella shredding cabbage, onions, carrots, shredded potatoes for potato rosti. Magimix Parmesan Disc 3200 4200 5200 4200XL 5200XL - Reference: 17372 Ideal for very quick fresh Parmesan, Ice cube grater to make crushed ice, breadcrumbs and to also make grated chocolate for desert toppings. Magimix 2 x 6 Julienne Cutter 3200 4200 5200 4200xl 5200xl - Reference: 17016 Ideal for 2mm x 6mm vegetable strips. A tip for "straight" julienne carrots is to chill the carrots,or use from fridge and place into feed tube horizontally. 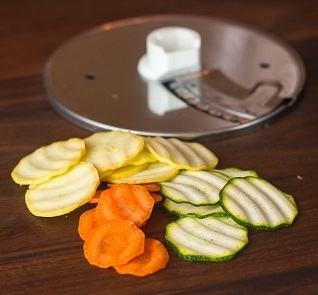 Magimix Fluted Disc For 3200, 4200 5200 all XL & Patissier - Reference: 17018 fluted disc for ripple cut vegetables and fruit, gives a salad or fruit salad a professional look, 6mm ripple cut slicer or 6mm fluted. Magimix Julienne Cutter 3200 4200 5200 4200xl 5200xl - Reference: 17373 2mm x 2mm vegetable strips julienne for matchsticks carrots is to chill the carrots, from fridge and place into feed tube horizontally. Magimix 1mm Slicing Disc 5200 3200 4200 3200xl 4200xl 5200xl - Reference 17431 Magimix 1mm slicing disc 5200 3200 4200 3200xl 4200xl 5200xl For very fine slicing. for crisps or thin fruit slices only available from BBS ltd.